We’re getting 2018 started with a simple and nourishing dish from Morocco, a country I love and where I first tried this delicious soup. We’re not long back from Spain, where we sit on beaches looking towards North Africa. A tenuous link, but its awesome to be back here and blogging!! After our little break in the sun, we’re topped up with fresh ideas for 2018. This comforting bowl is ideal for new year, so easy and light, nutritious and flavourful. It’s also inexpensive and the basic soup only has a handful of ingredients. It also happens uses fava beans, which as you might know, were one of my favourite things about 2017. Couldn’t get enough of them. 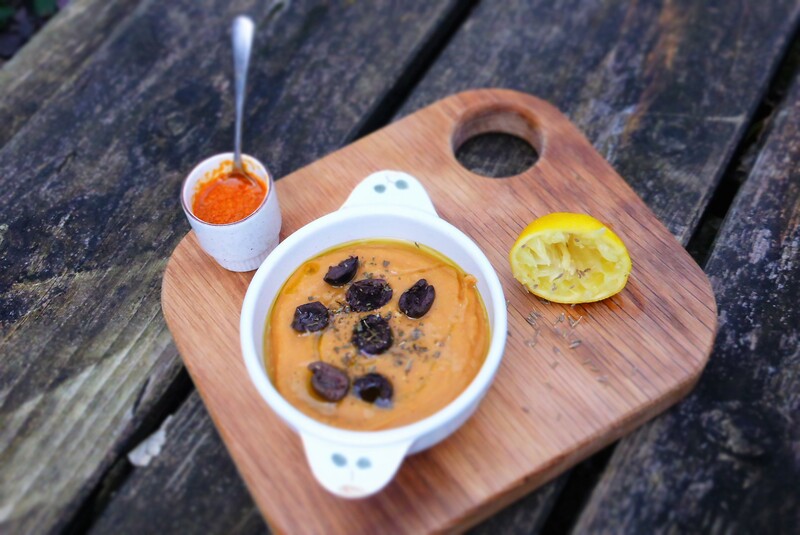 You can thin this out, or serve it as a dip. Either way, it’s a dish I cook all the time, a great staple and something I’ve been meaning to put on here for years. Finally, Bessara! My favourite memories of Bessara was around 15 years ago (food lives long in my memory) when I was travelling all over Morocco and eventually found a little home in the Rif Mountains. It was chilly, icy winds whistling through all the buildings, my favourite cafe’s door kept blowing off and was missing a window (but the mint and gunpowder tea and tunes were bang on). I was lucky to be staying right beside the Hamam (steam baths), which was hewn from a hillside, so the whole area was warmed by the huge wood fires which heated the water. The same wood fires where people would bring their clay pots of food to be cooked. Great system there, plus the Hamas are the perfect place to meet people, like a pub really, without the booze and with the heating turned up to Gas Mark 2. Oh, and the clientele are mostly naked. Every morning I met some friends and went for Bessara, it makes for a lovely breakfast, and we sat on little rickety benches with all the djellaba wearing locals and morose Mohammed (cook and propietor) sat before two giant vats of bubbling Bessara. His joint was basically a corrugated steel roof between two wonky buildings, but it was always buzzing and cosy. It’s a warming soup in more ways than one. Mohammed’s Bessara was very cheap and served without glee but with fragrant local olive oil and small bowl of fresh cumin and salt on the tables. The bread man would occasionally whistle past on his push bike and we’d score some fresh bread straight from the bakery, that flat Moroccan bread that you may have tried. If you’re from the North East, it’s basically stottie cake (more stottie here). I’ve never been able to find out if there is any relation between the two, my romantic side which easily eclipses any of my other sides, says that yes. There is. In the middle ages some sailors from Seaham were blown of course and found themselves sahara bound. Or maybe it was the crusades? Either way, great bread and highly recommended with this soup. I love harissa, especially with traditional Moroccan food, so I’ve come up with a zesty and punchy little oil to drizzle over the soup. You’ll have a little bit leftover no doubt, but I love dipping bread into it to finish it off. Just keep leftovers sealed in a fridge for a few days. It’s perfect I think after one day in the fridge, all the spices and flavours settle and mingle. I have some organic Hodmedod split fava beans, they actually have a Bessara recipe on their site! Great minds!! Hodmedods were kind enough to send me some of their range, which is awesome, so you’ll be hearing from them more this year. We love to give shouts out to producers who are doing brilliant things in enlightened ways. Hodmedods are all about incredible pulses basically and are bringing back many traditional British varieties. Fava beans are actually traditional in the UK, but I think more of them as a Middle Eastern/ North African ingredient. We have used them to make traditional Egyptian Falafels (Ta’amia) in the past and they make a delicious hummus. So a big shukran to Mohamed the mirthless in the Rif Mountains for warming my belly each morning with this classic soup, I wrote his recipe down one day, but it got lost along the way, I’m sure this is a reasonable attempt. Proper mountain Bessara. Travelling around Morocco changed my life, my world view and my feelings about stottie cake. Bismillah! By adding 750ml of hot water to the finished Bessara, you’ll have a soup. As the soup cools, it thickens. 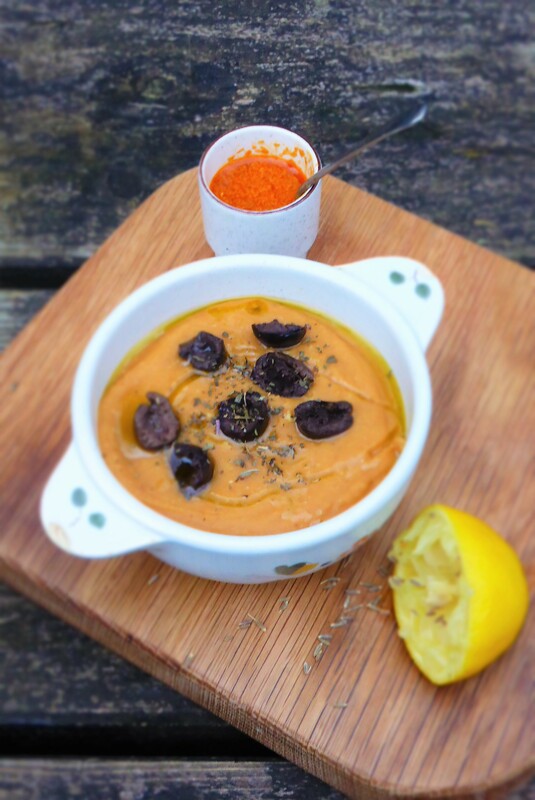 My favourite garnish for this soup is the harissa oil and black olives, maybe a sprinke of dried mint. Toasted almonds are tasty too, as is fresh mint and you might like a lemon wedge on the scene…..the soup is really like a blank canvas for flavours, simply delicious but easily embellished. If you are using split fava beans, there is no need to soak them beforehand. Stirring a few handfuls of greens into this soup just before serving will be delicious and add a health twist and different texture, try spinach, chopped kale or spring greens. Rinse the beans well in a colander with cold water. Place in a large saucepan and cover with 1.5 ltrs of cold water, bring to a boil, lower to a simmer and place a lid on. Leave to cook for around 45 minutes, until soft, stirring occasionally. Place all the ingredients for the Harissa Oil in a blender and blitz until smooth. Check the seasoning. When the beans are about cooked, grab a small frying pan and warm on a medium heat, add your cumin seeds and toast them for a minute, tossing them gently in the pan. They should begins to release their aroma and change colour slighty. Place in a pestle and mortar and leave to cool a little, them grind them. Enjoy the smell! Taste a smidgen, if they are very bitter, they’re burnt, give them another try. It’s easily done! In the same frying pan, add the oil and then the garlic, fry until golden, should take a couple of minutes. Add the cumin, garlic and paprika to the pan, stir in and simmer for a few minutes, then add the lemon juice and salt. Check the seasoning, this soup will need a good amount of salt to bring the flavours out. You might prefer it chunky, but when blended, this soup is velvety smooth. I prefer it that way. Use a stick blender. It’s easiest. 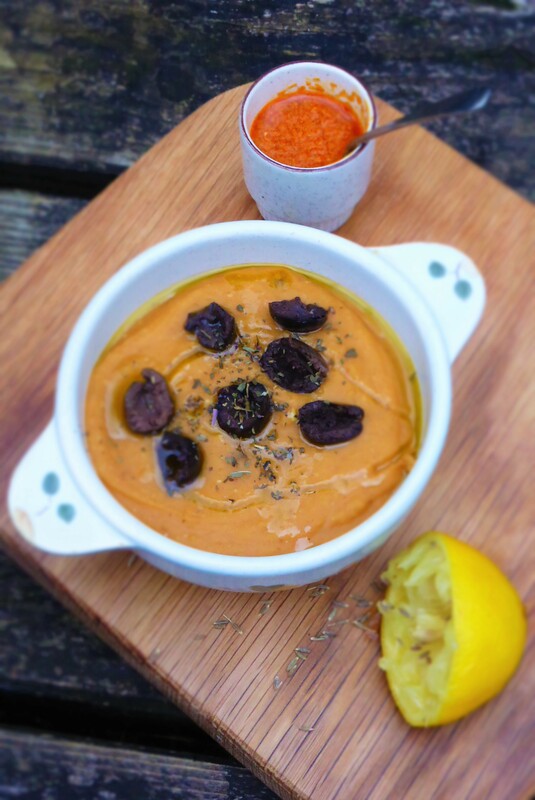 Ladle the Bessara into bowls and top with olives, dried mint and harissa oil, or any of the other options above. Best with flatbread. Fava (very similar to Broad) beans are like all beans, they’re brilliant and protein powerhouses! Nutritionally, they’ve no cholesterol or saturated fats, have plenty of fibre, vitamin K, B1 and B6, loads of minerals like iron, copper, magnesium, manganese, selenium, potassium and zinc, they even have some calcium. 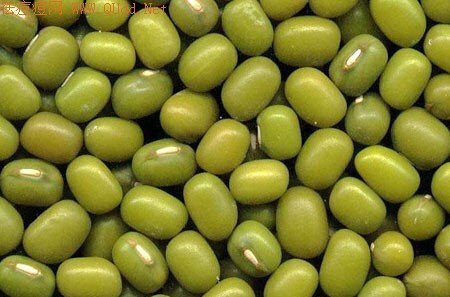 Some tests have even claimed that fava beans can help with depression, they contain dopamine.